Are you a construction worker injured in a ladder accident in Brooklyn? If you have been injured or lost a loved one in a construction accident, let Brooklyn construction accident attorneys at The Orlow Firm show you how we can help. 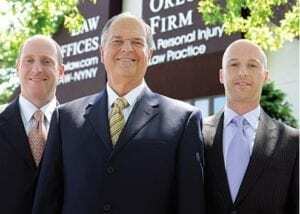 You will work with a named partner at our firm, and we believe you should expect nothing less. Our cases are handled on a contingent fee basis, which means that we are paid only if we obtain money damages in your case.